Learn about pre-professional programming, scholarships, picking a degree, the benefits of registering through Luther, and more at our information night. Meet current students and faculty, hear from current professionals, learn about the various career paths our alumni have taken, and discover the variety of program options available through Luther College at the University of Regina. Our keynote speaker is optometrist and alumna, Marcia Mitschke (U’16), who will speak about how her experience and preparation at Luther helped her through optometry school. Complimentary parking available in Lots 13 M and Z (north side of Luther). Optional tour of Luther College Residence available. Prefer to experience our residence first-hand? Register to Stay-a-Night for FREE (meals included)! 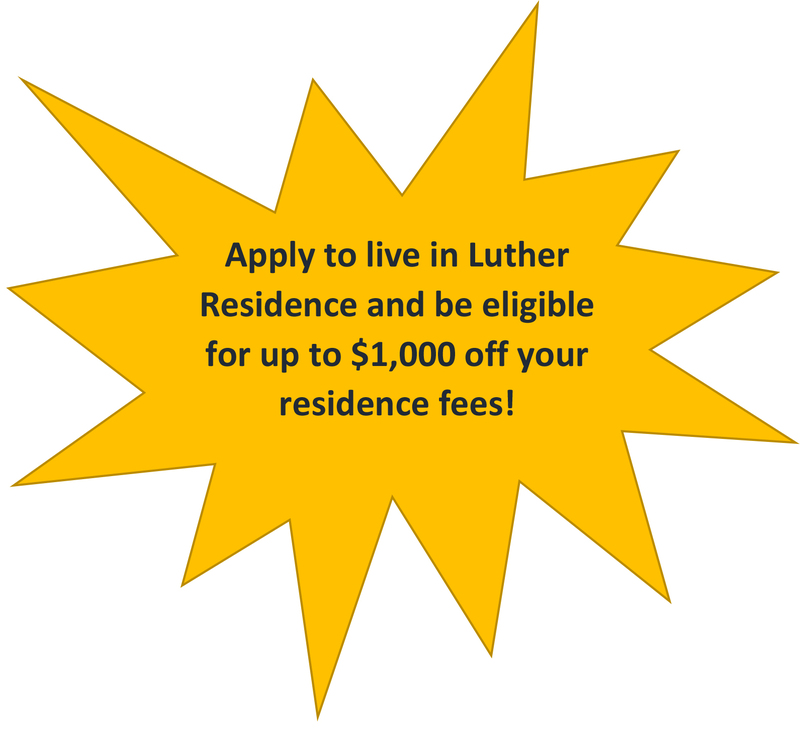 Apply to live in Luther College Residence at the event and be eligible for up to $1,000 off your residence fees. We request that you pre-register using the form below to help us plan for snacks and seating but walk-ins are also always welcome! NOTE: Paper applications will be available for completion at the Info Night. If you would be interested in applying, please bring a credit card along with your school-certified/unofficial transcript (Ask your guidance counselor or principal). For more information, please contact Colleen at recruitment@luthercollege.edu.